William Faulkner had some specific ideas about becoming a writer. You become a writer simply by reading and writing. “You don’t need writing classes or seminars any more than you need this or any other book on writing.” Faulkner learned his trade while working in the Oxford, Mississippi post office. Other writers have learned the basics while serving in the Navy, working in steel mills or doing time in America’s finer hotels. Faulkner’s strong commitment to writing still lives on. 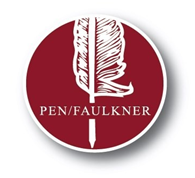 The PEN/Faulkner Foundation is an outgrowth of William Faulkner’s generosity in using his 1949 Nobel Prize winnings to create the William Faulkner Foundation among the charitable goals of the foundation was "to establish a fund to support and encourage new fiction writers." The PEN/Faulkner Award for Fiction is awarded annually by the PEN/Faulkner Foundation to the authors of the year's best works of fiction by living American citizens.